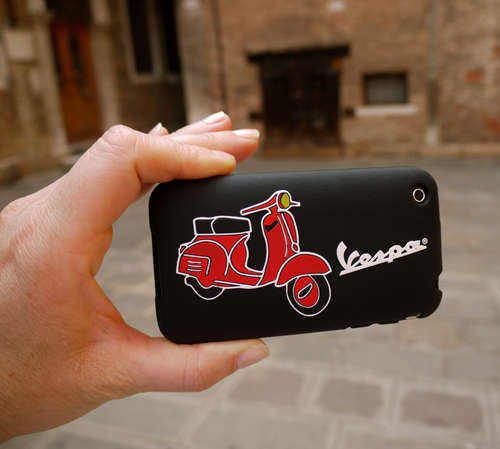 Monica S. found this Vespa iPhone case for her 3G phone in Venice. Lucky girl! This entry was posted in Miscellaneous and tagged 3G, iphone, scooter, venice, vespa by Tracy. Bookmark the permalink.